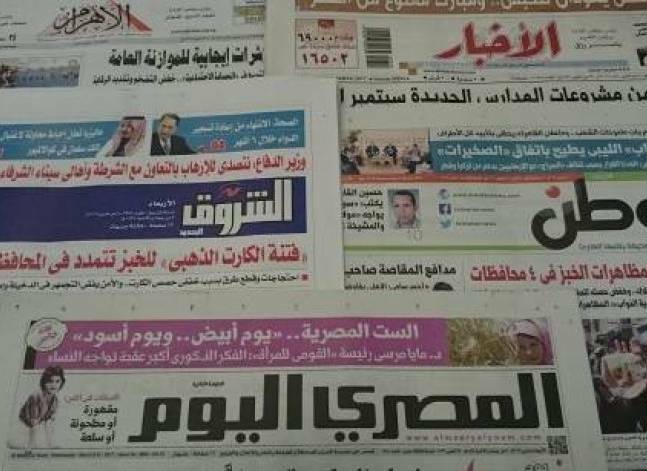 CAIRO, March 13 (Aswat Masriya) – Our daily roundup of headlines in Egypt's main state-owned and private newspapers on March 15, 2017. 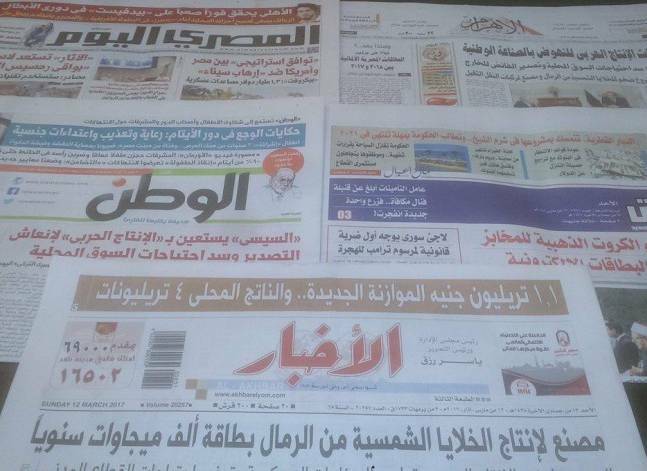 CAIRO, March 14 (Aswat Masriya) – Our daily roundup of headlines in Egypt's main state-owned and private newspapers on March 14, 2017. 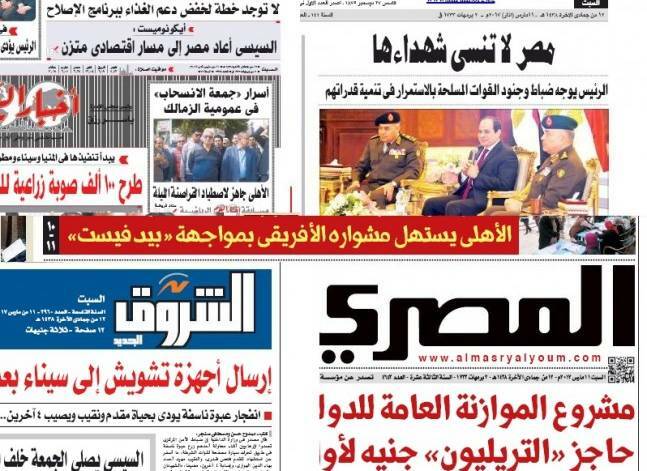 CAIRO, March 13 (Aswat Masriya) – Our daily roundup of headlines in Egypt's main state-owned and private newspapers on March 13, 2017. 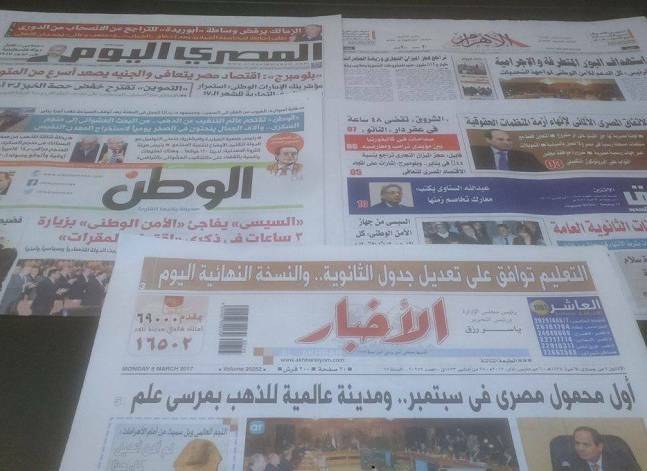 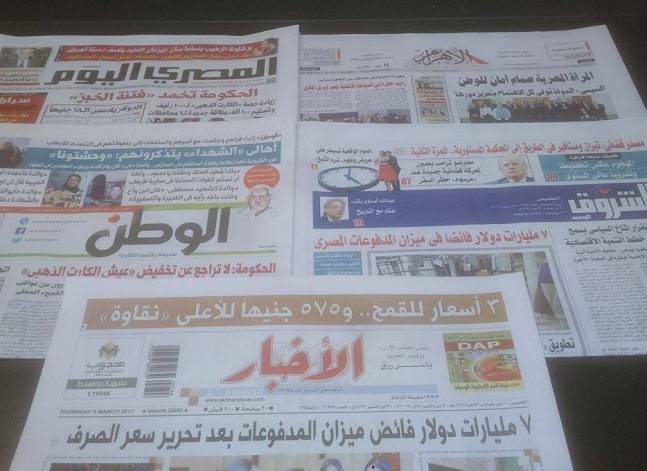 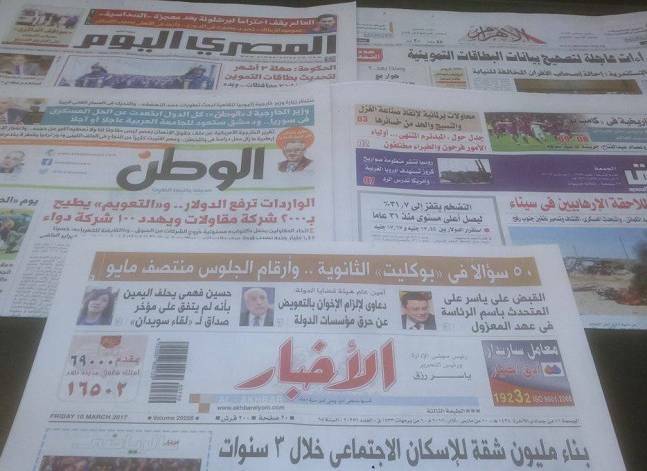 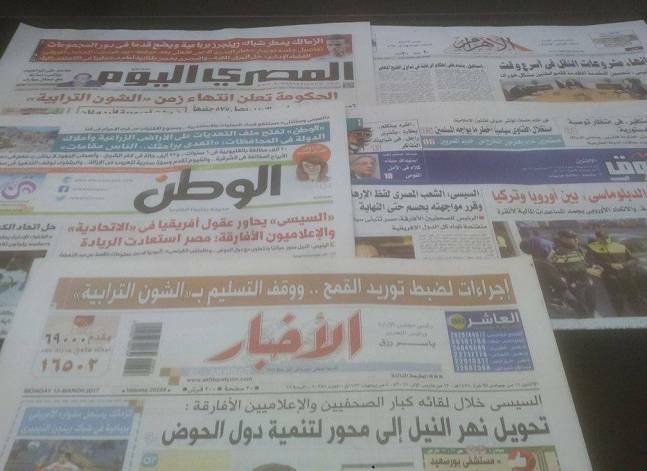 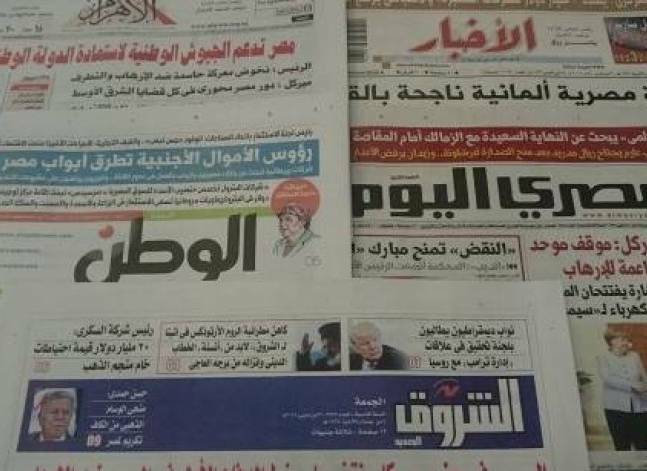 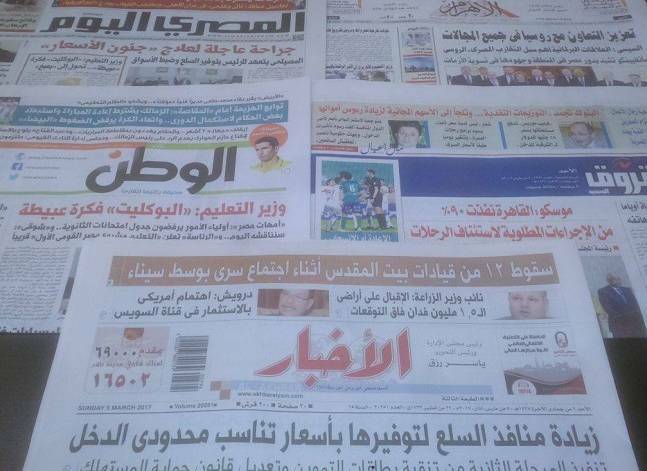 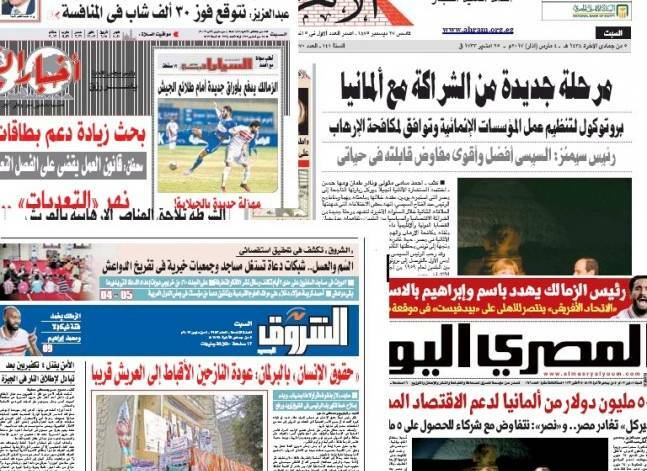 Our daily roundup of headlines in Egypt's main state-owned and private newspapers on March 12, 2017. 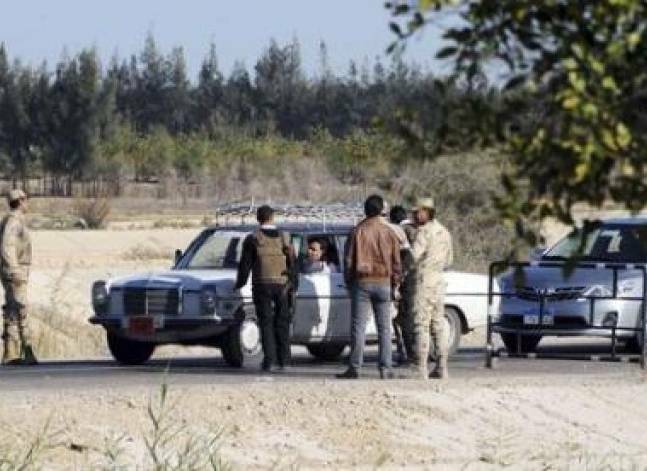 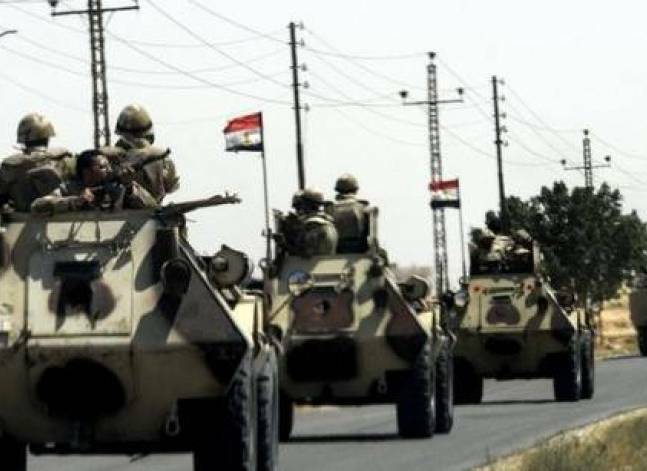 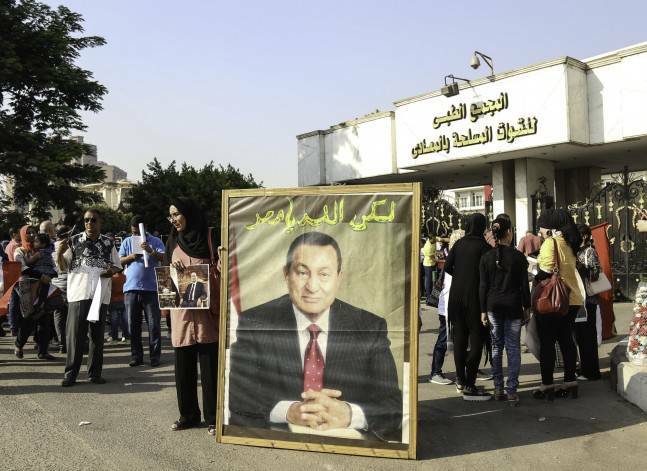 Egypt's interior ministry said on Friday its forces killed four people it said were fugitive terrorists plotting to carry out hostile operations.